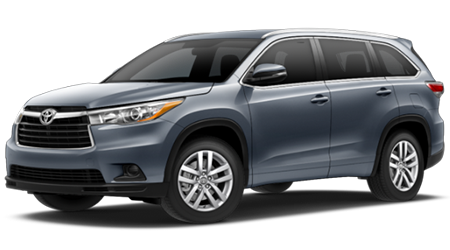 The stunning 2016 Toyota Highlander Hybrid has arrived! You can see it at Venice Toyota dealership in Venice, FL, where we always go the extra mile to make you happy. This year's Highlander Hybrid is chock full of upgrades and improvements, and it's making more waves in the industry than any other Toyota SUV, or any other hybrid vehicle. The fact is, the 2016 Highlander Hybrid handles and performs every bit as well as the conventional gas-powered Highlander, and then some. You will not be disappointed in the appearance of the sleek new Highlander Hybrid, either. With its sharper front-end lines and dramatic new grille, the 2016 Highlander Hybrid is ready to paint the town red. In fact, one of the striking new colors for this year is dubbed Oooh-La-La Rouge, a seriously rich red. You can see the all the new colors and trim packages in our showroom at 900 US HWY 41 Bypass S in Venice, FL. If you live in nearby Sarasota, Bradenton, Venice, North Port, and Port Charlotte, do not miss this opportunity to see the 2016 Highlander in its best light at our modern facility. The new Highlander Hybrid looks like a million dollars, and peoples' reaction to it is priceless. For one thing, the boxiness is gone completely, replaced by a shape that is three inches longer and swooped in the front. It doesn't look like an SUV that can tow like a tow truck and carry an oversized payload, but it is. There are different spokes for different folks: the Highlander Hybrid Limited comes with 19-inch Chromtec wheels; the Highlander Hybrid XLE model boasts gunmetal gray machine-face alloy wheels; and the brazen Highlander Hybrid LE has head-spinning distinctive 5-spoke alloy wheels. Whichever trim package strikes your fancy, the Highlander Hybrid lets everyone know you've arrived, not only in style, but in a responsible eco-conscious way. Compared to non-hybrid family SUVs, the Highlander Hybrid gets almost twice the mileage, with absolutely no power sacrificed for fuel efficiency. An EPA-rating of 28 mpg combined city and highway lets it take you further for less money, and an Ultra Low Emission Vehicle II (ULEV-II) certification lets us all breathe easier. The improved double-wishbone suspension evens out the ride, on or off the road. Not many large hybrids can handle the rigors of off-road trekking, but the Highlander Hybrid is no ordinary vehicle. Its finely-tuned gas engine and electric motor combine in Toyota's Synergy Drive to give you enough raw power to tow 3,500 pounds of boat, trailer, or mobile home. How can a miserly green engine tow like a pro? Only Highlander Hybrid has the answer. If you choose all-wheel drive, Toyota gives you a revolutionary Intelligent All Wheel Drive (AWD-i) with a separate rear-wheel motor for extra torque and traction. The Highlander Hybrid has understated power that kicks in when and where you need it. The Highlander has always been a favorite family-hauler in this neck of the woods, partly because its all-weather control is perfect for our blustery winters. Now the Highlander Hybrid is poised to corner the SUV market with high performance that rivals any gas-guzzling SUV or family wagon. We are close by at 900 US HWY 41 Bypass S in Venice, FL, and we welcome thrill-seekers and adventurers from Sarasota, Bradenton, Venice, North Port, and Port Charlotte.